Walthamstow Wetlands is a series of 10 reservoirs, located in the Lea Valley Special Protection Area, which provides drinking water to 3.5 million Londoners. An area of Special Scientific Interest, the 211-hectare site has been transformed into one of Europe’s largest urban Wetland nature reserves. The collaboration between Thames Water, LB Waltham Forest and London Wildlife Trust aimed to conserve the heritage and identity of the site, whilst allowing free public access to this unique landscape of water, woods and marshland. With sustainability and ecology at the heart of the regeneration, architects Witherford Watson Mann worked with Kinnear Landscape Architects to deliver a unique vision, which included the sympathetic restoration and the conversion of a Grade II listed Engine House into a new visitor centre and viewing platform. Built in1885, the old Engine House, which once housed massive steam driven pump engines, was restored and converted to accommodate a café and visitor’s centre, with a kitchen extension built from Ketley’s Brown Brindle facing bricks, which are manufactured on the same site, at the same factory as Dreadnought Tiles. 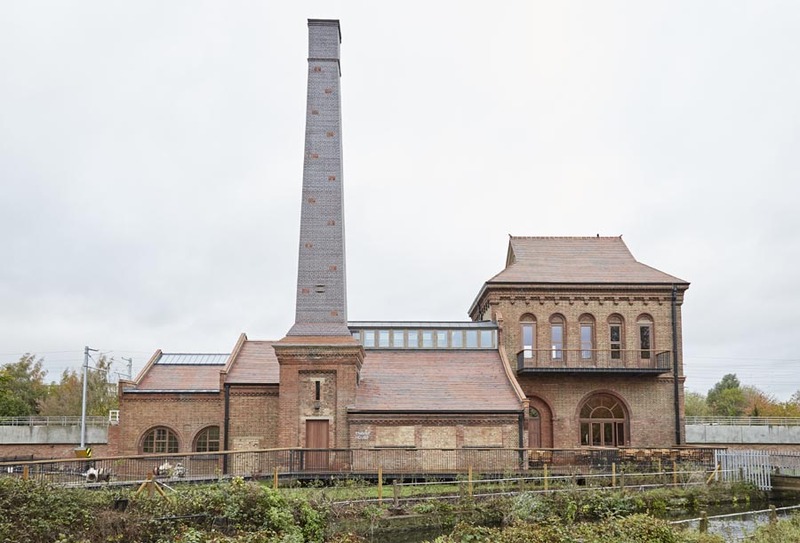 Integral to the restoration was the replacement of the old Engine House’s original brick chimney, a powerful industrial symbol, which was demolished in 1960. Witherford Watson Mann grafted a striking new 24m high ‘swift tower’ onto the remaining chimney plinth to serve as an ecological feature to accommodate local wildlife. 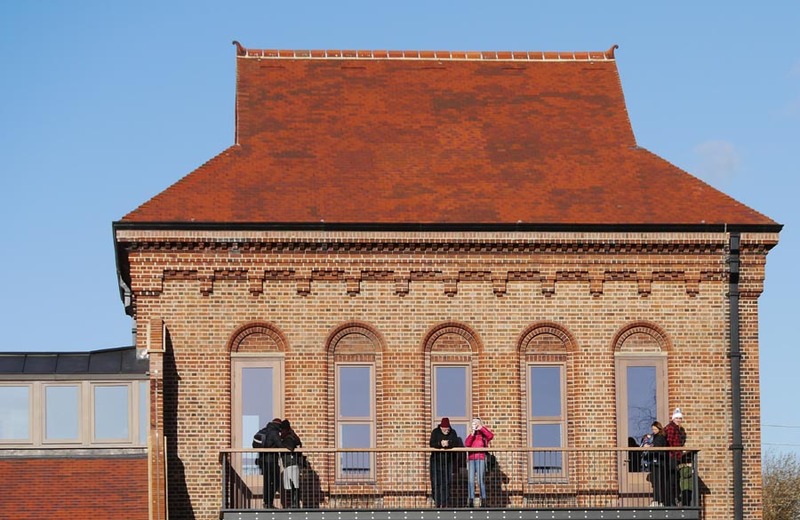 Constructed from the same Ketley Brown Brindle engineering bricks, the structure's shiny surface stands out, and yet at the same time complements the Victorian heritage of the site. The brickwork was left rough on the inside to provide roosting areas for swifts and bats. The tower itself incorporated 54 bespoke red clay swift boxes co-designed by Ketley and Witherford Watson Mann to encourage the nesting of urban swifts. The boxes have sloping entrances and a small hole in the front to keep the nesting areas well drained and were placed at least 1m apart to prevent rival swifts fighting. The only known structure of its type, ‘swift tower’ is visible from across the valley, signalling repair and transformation: repair of civic infrastructure, transformation from pollution to ecology. Known for their industrial authenticity and durability, these ‘Class A’ engineering bricks suited the context of the site perfectly and the project has been awarded a prestigious Brick Award for Best Refurbishment. 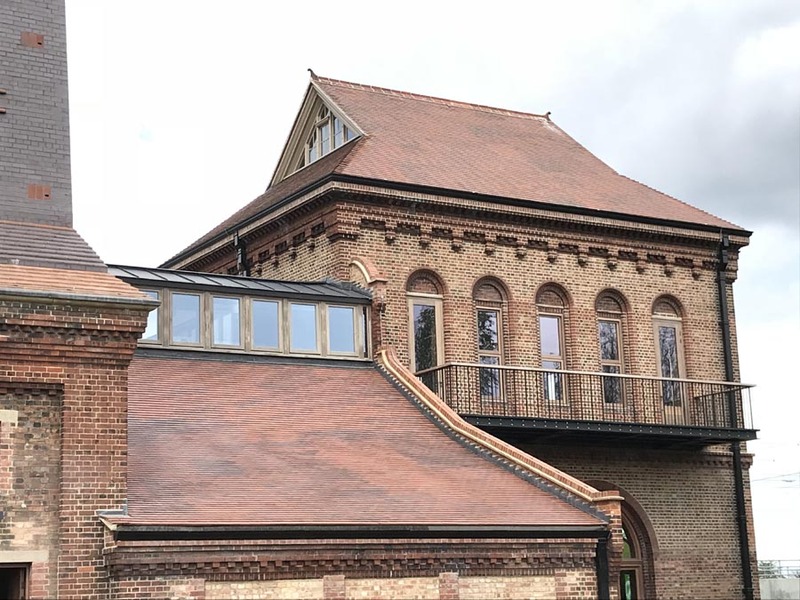 The Engine House roof was also fully restored using Dreadnought's Brown Antique smooth plain clay roof tiles which were found to be an excellent match to the originals in every aspect. 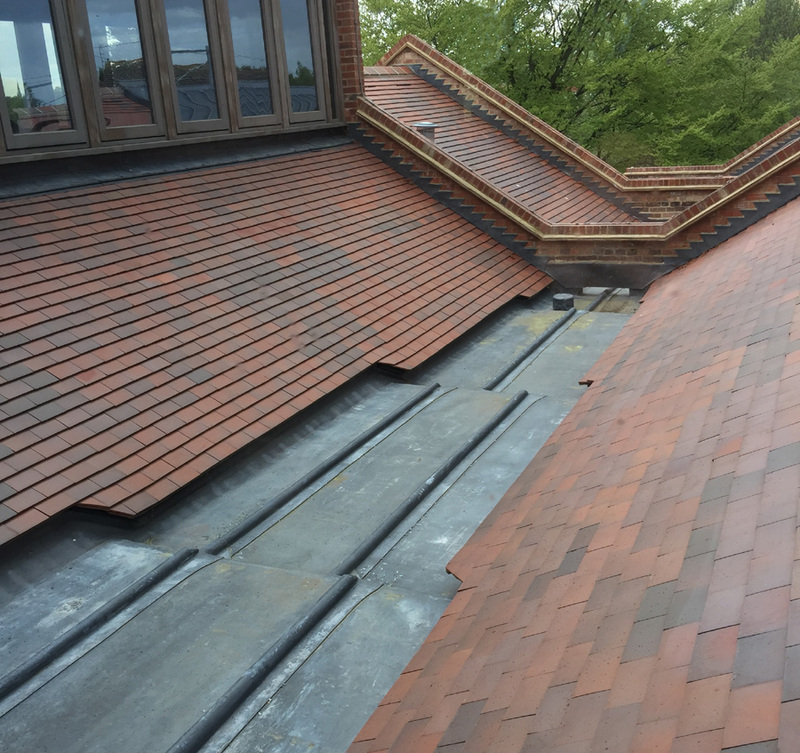 Dreadnought's traditional single camber shape and range of natural clay colours, produced by expert kiln control, makes them an excellent choice for sensitive reroofing projects. Architects William Watson Mann handled the entire project with a extreme sensitivity and took great care to source authentic materials. 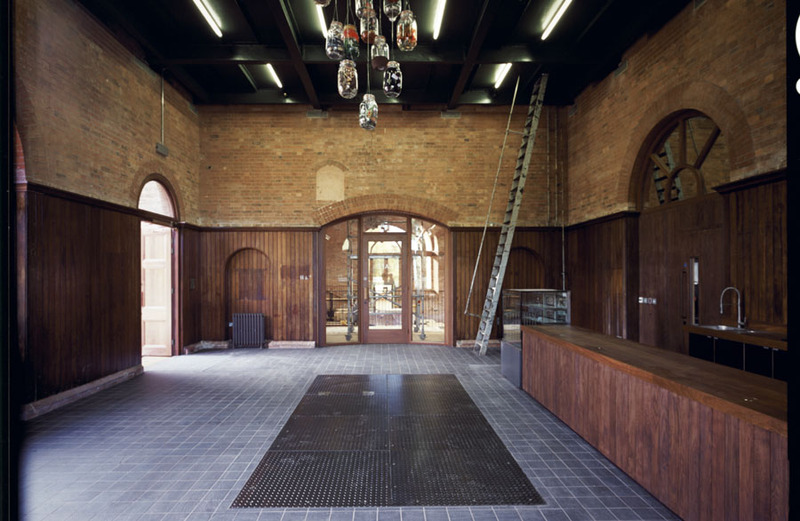 Inside the Engine House, Dreadnought's clay quarry tiles were used for much of the flooring, and they combined well with the natural tones of the exposed brick and timber panelling on the walls.